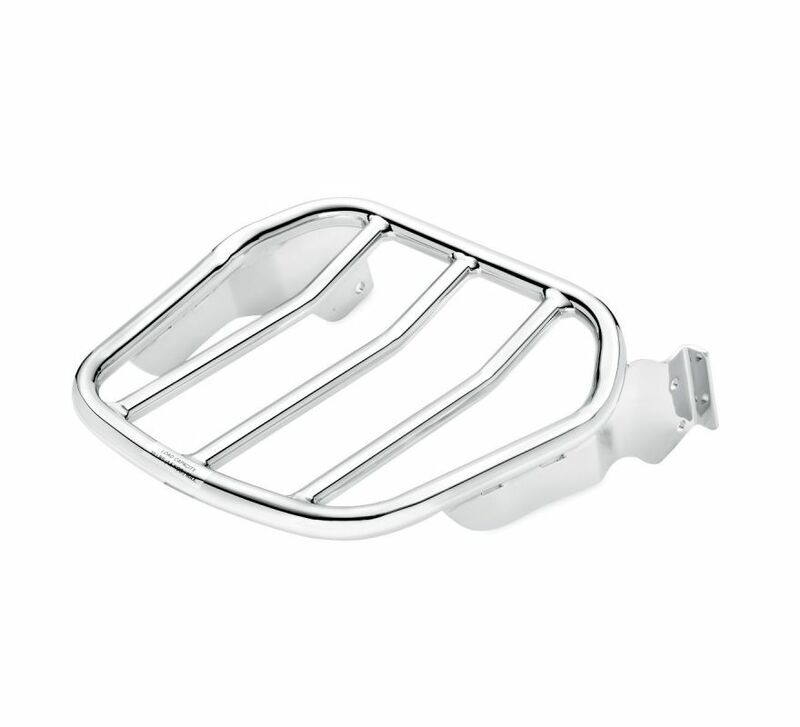 Smooth sweeping curves and the brilliant chrome finish defines the look of this Sport Luggage Rack. . 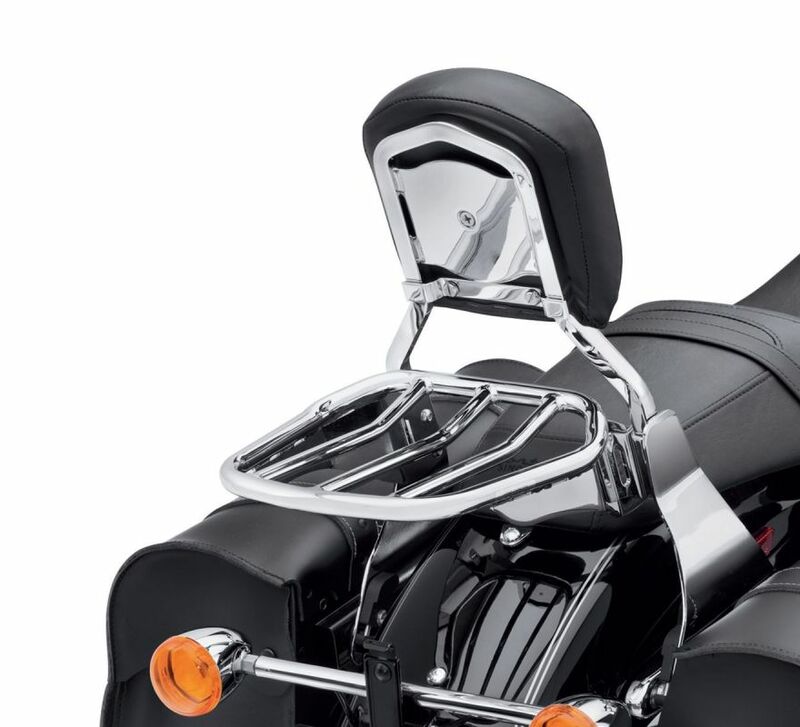 Fits '10-'17 FXDF and FXDWG and '09-'10 FXDFSE models equipped with Rigid or H-D® Detachables™ Sideplates and Sissy Bar Uprights.